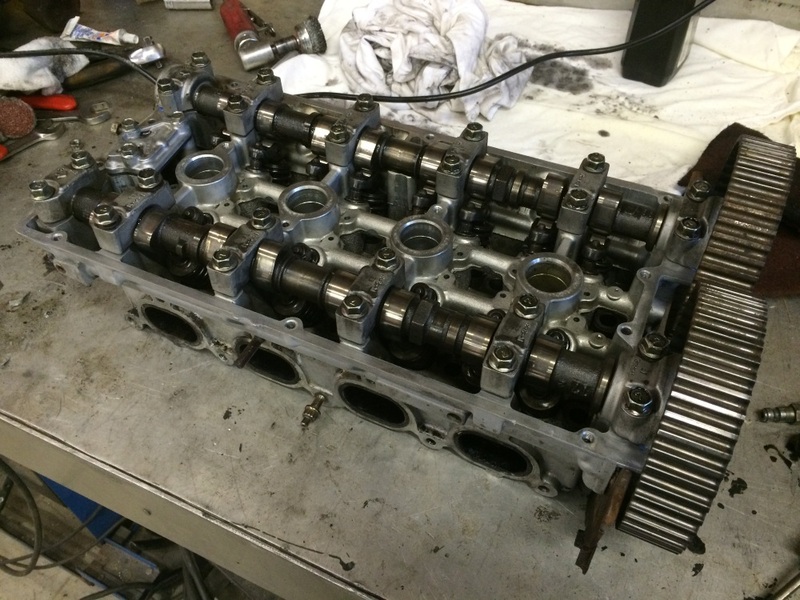 This is how I rebuilt my 4 cylinder turbo 4G63 cylinder head. 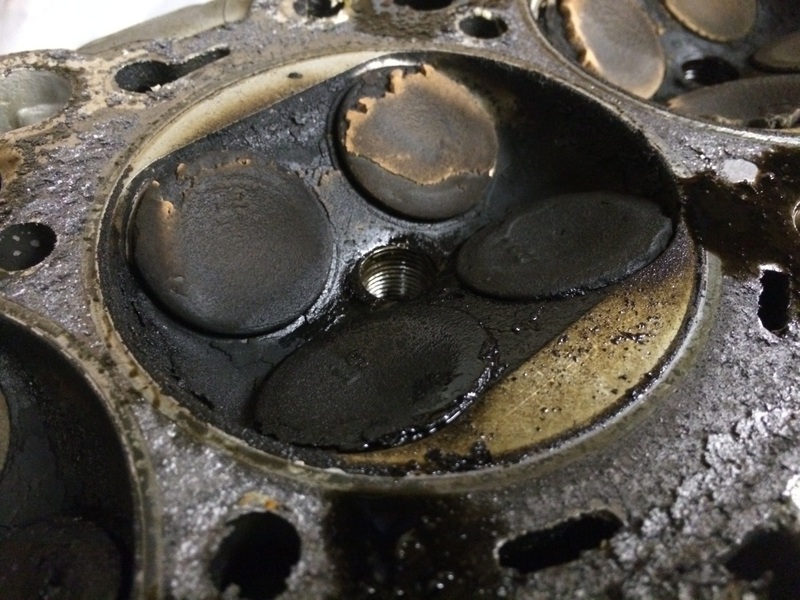 Not too long ago I had a 4G63 cylinder head with valves that were leaking like crazy. 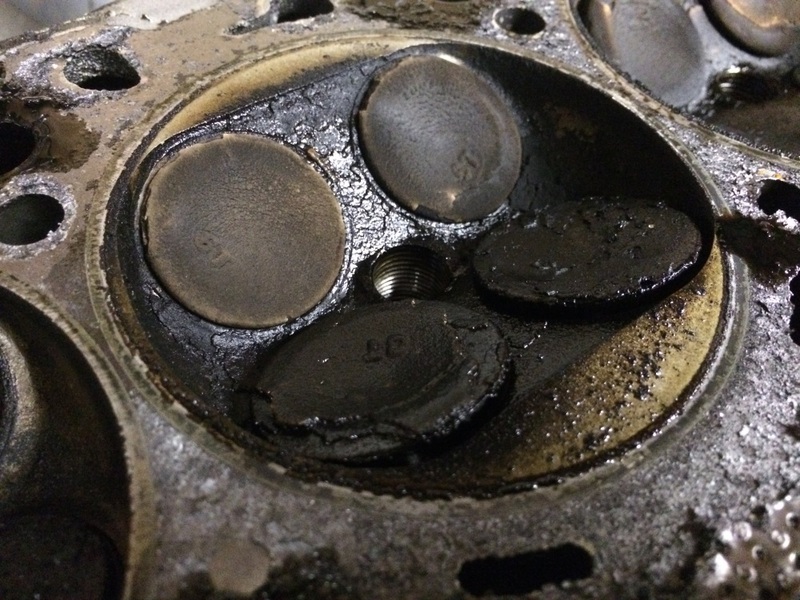 I pulled the head from the block and found the most carbon build-up that I have ever come across. 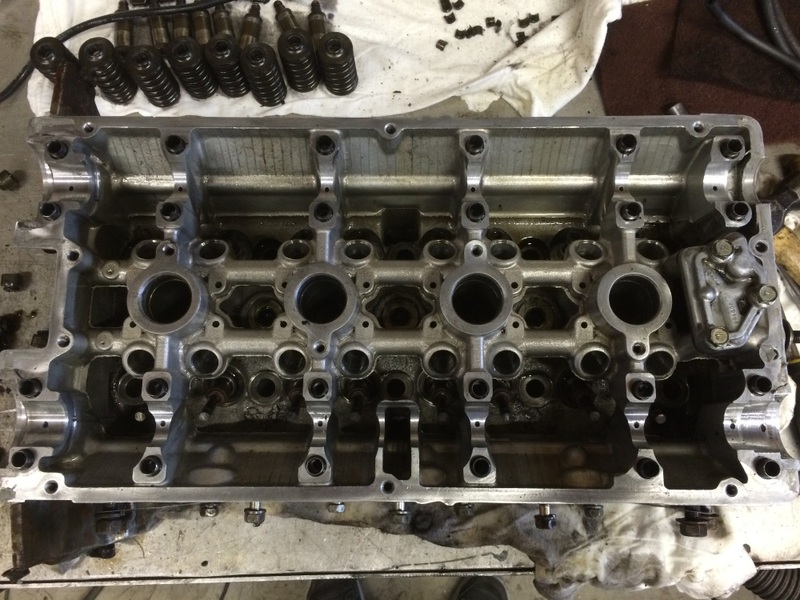 The solution – rebuild the head of course! 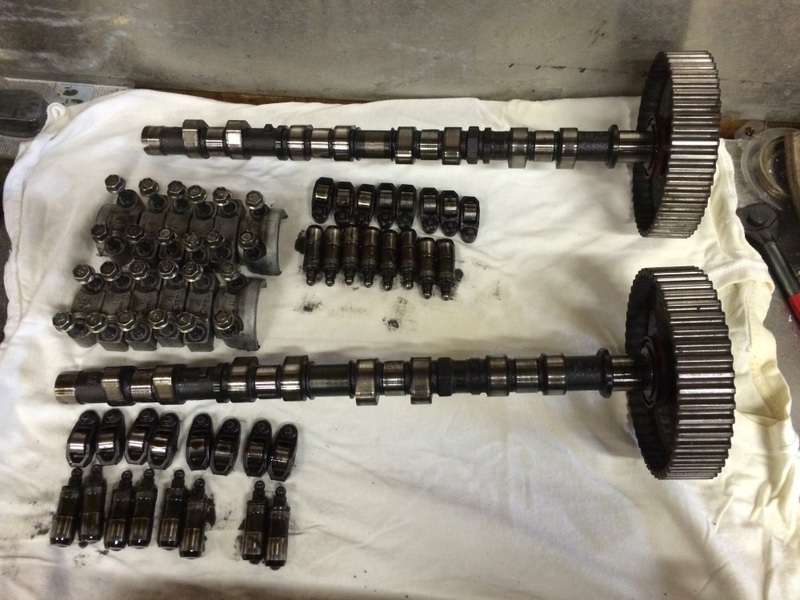 I began by removing the stock turbo 4G63 cams. I then organized all of my lifters and rockers, because keeping the parts in the same spots is ideal. Each valve spring is held in with two “keepers”. Over time, the keepers become stuck in the spring retainers. If you tap the spring retainers with a socket, it shocks the keepers, and breaks them away from the retainers. 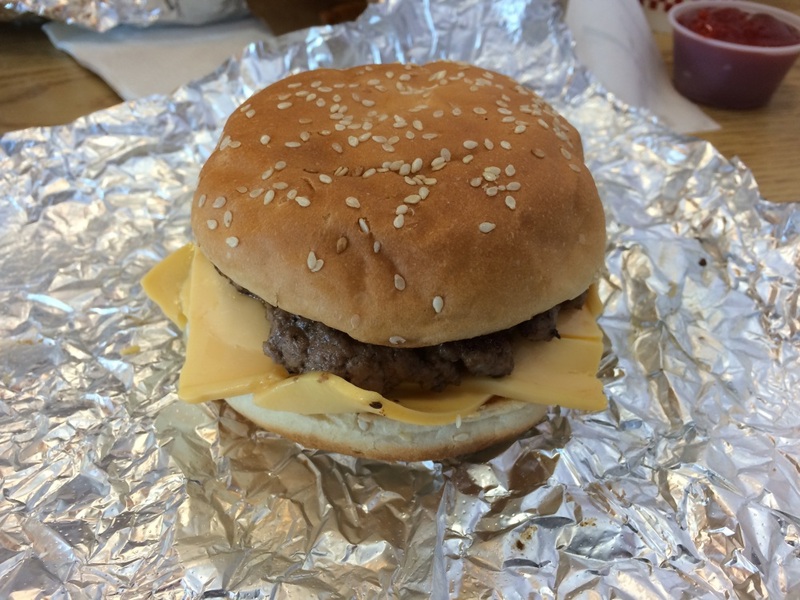 This makes your life much better. 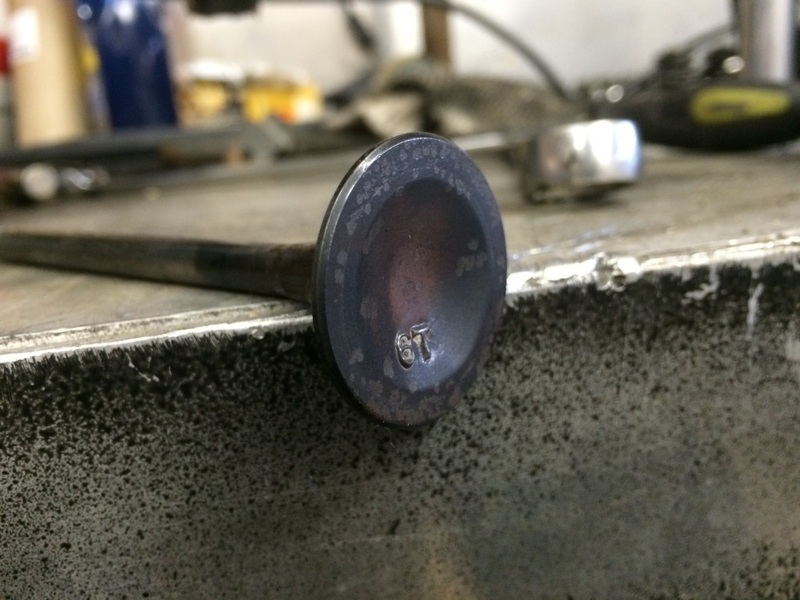 4G63 heads require a special valve spring compressor tool. I didn’t take a picture of it for some reason, but the moral is – you need to remove the keepers from all of the valves. Don’t forget nourishment. Your body needs it if you want to be at the top of your game. 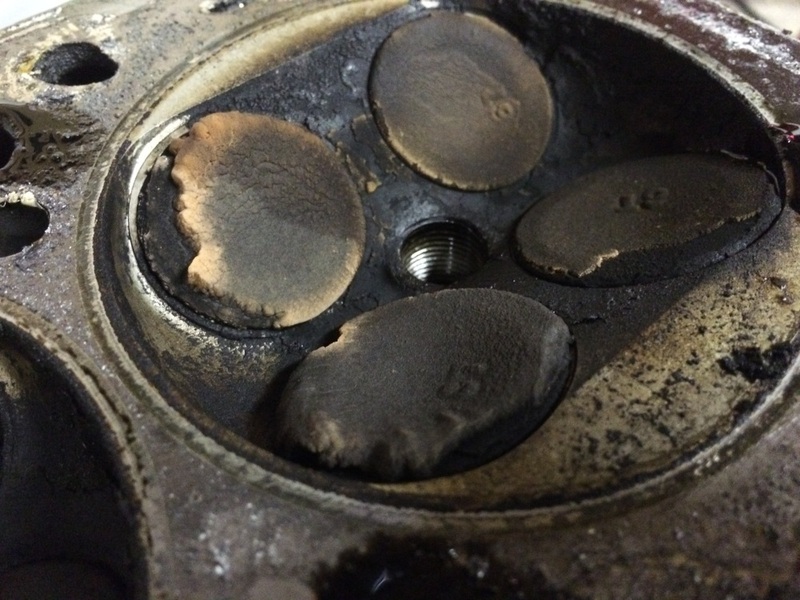 Pretty bad carbon build up, don’t you think? This is what they look liked before I cleaned them with a wire wheel. 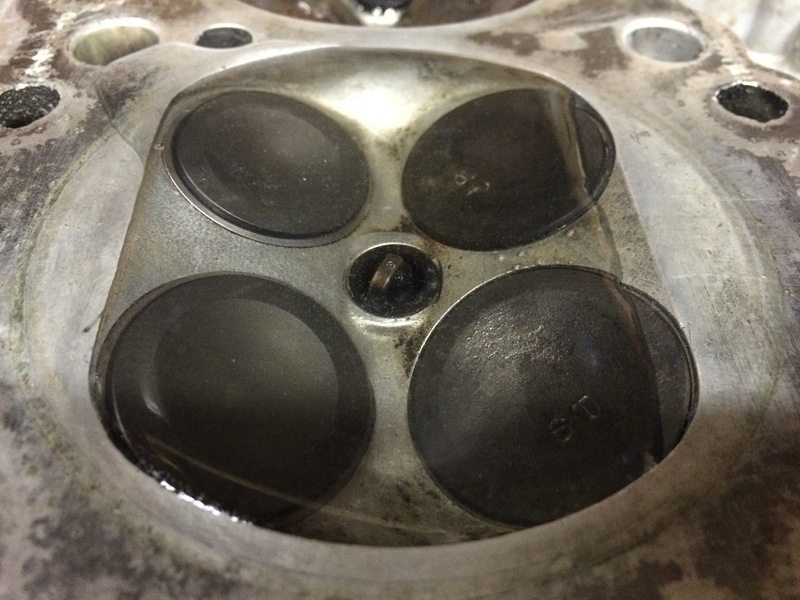 This is what the valves look like after the wire wheel (same valve!). 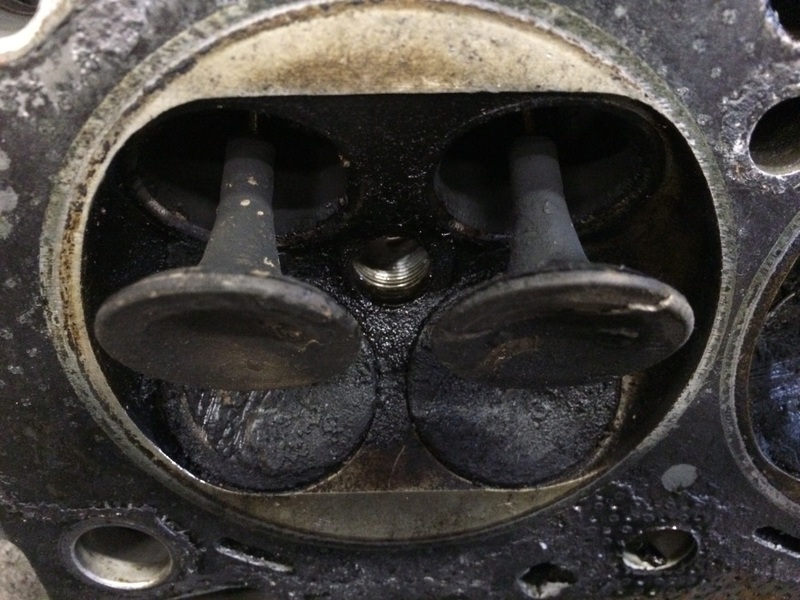 Once cleaned, each valve needs to be lapped into the seats with valve grinding compound. 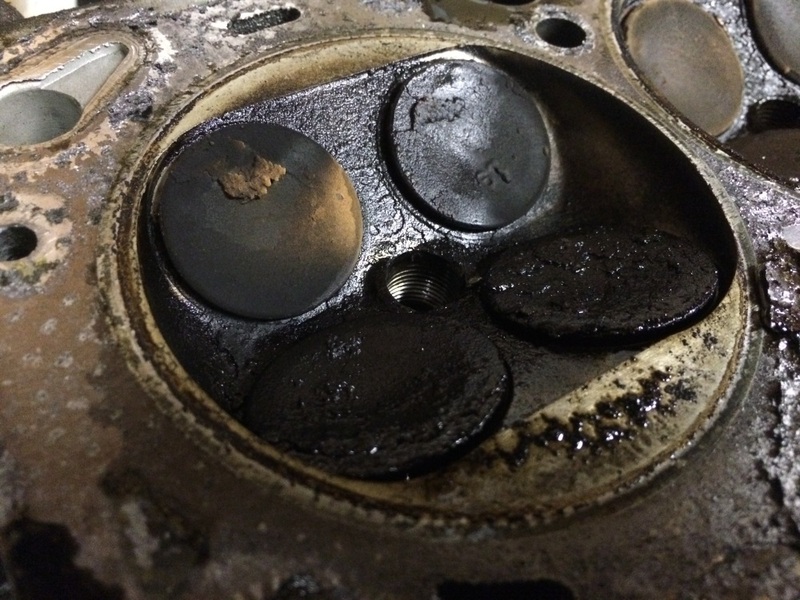 New valve seals should always be installed, because they are cheap, and you are already this deep into the repair. I like to test the valves to make sure they hold water. If they hold water they should hold air just fine too. If the water leaks out, then you have a damaged valve or need to lap the valves better. 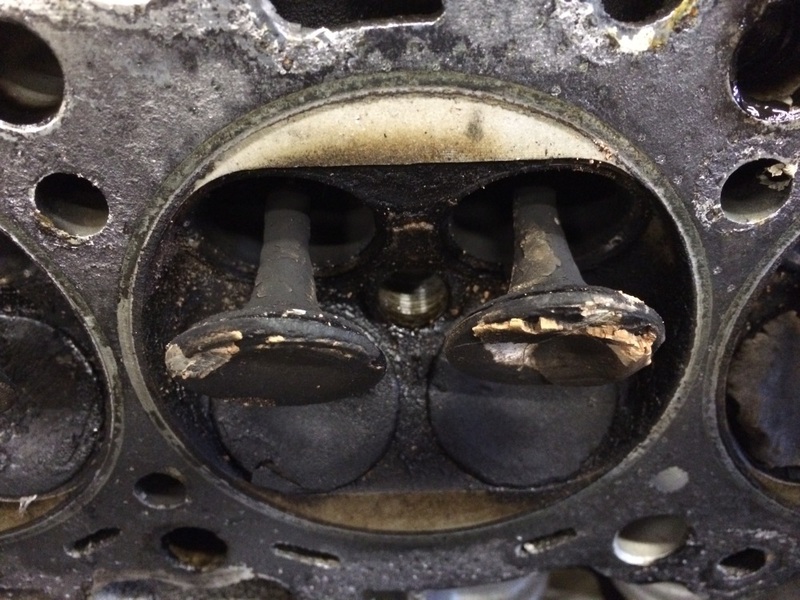 In my case, I had 2 valves that were damaged beyond repair. The other 14 were A-okay! Lastly, everything needs to be torqued properly. 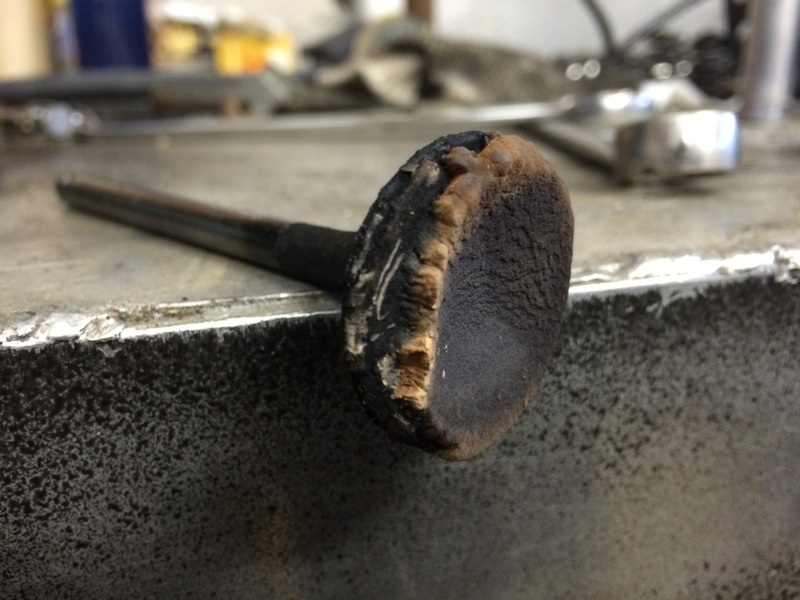 Make sure you use a good torque wrench because this is one of the times it really matters. 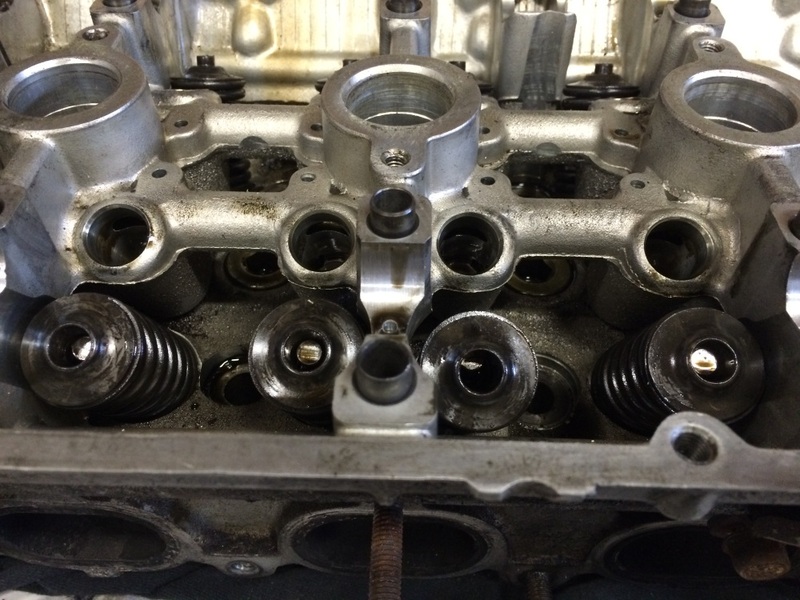 And that is what it’s like to rebuild a 4G63 turbo cylinder head that is packed with nasty carbon build up. The whole project was pretty cheap (less than $50), and took a few hours. Next time, maybe I will clean off my work bench first so that I don’t look like a car-part hoarder. ← The galant vr4 1803/2000 has started up! Hi, I'm Jeremy. I'm what you might call a car-guy. That looks like quite the project! 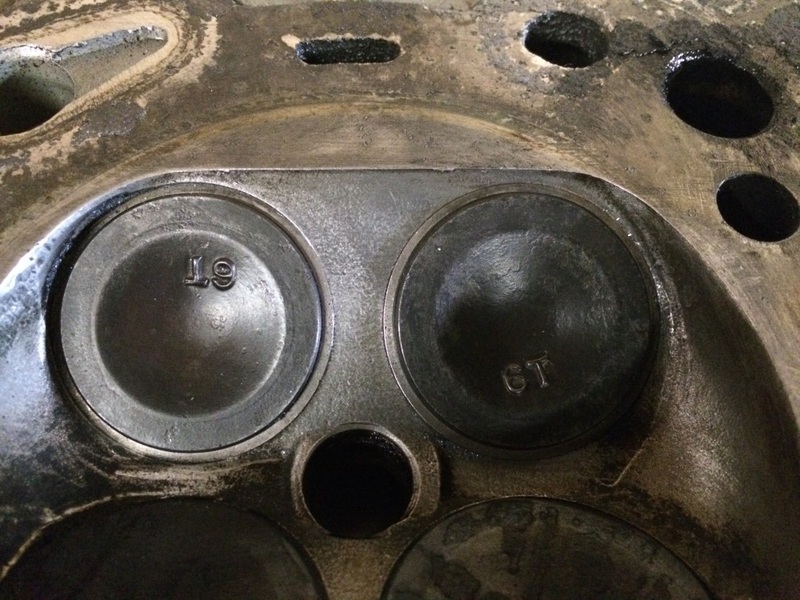 I’m surprised to hear that rebuilding the cylinder head on that only took a few hours and cost less than $50. 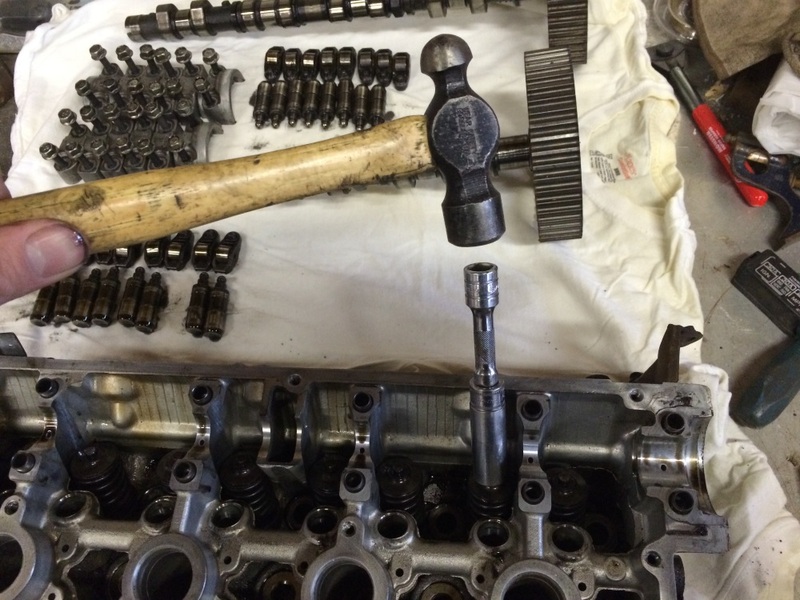 My dad mentioned something about having a problem with the cylinder heads on a car that he’s restoring. If this project is anything to go by, I’m sure that he’ll be happy to hear it won’t take too much more than an afternoon to take care of it. Hi McKayla! Sorry for the delayed response! 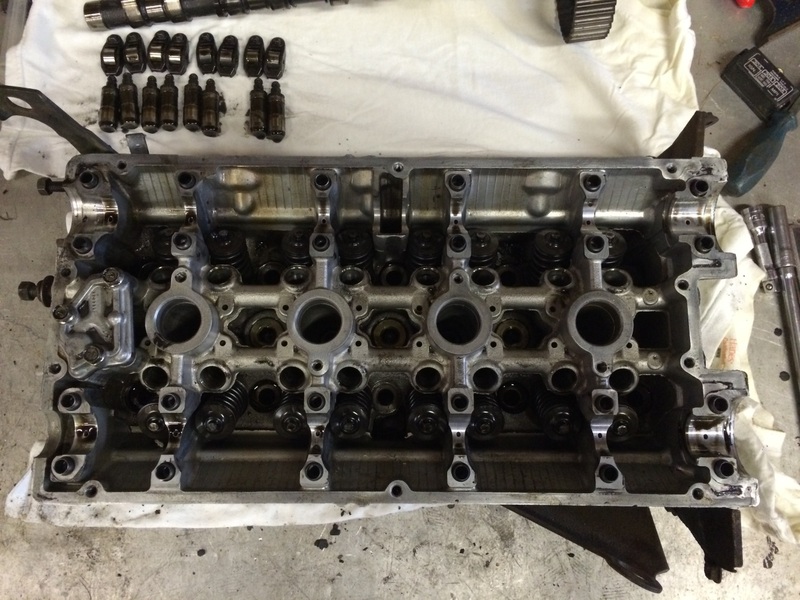 Yes, cylinder heads don’t take much time to rebuild as long as you have all the parts that you need. It also depends what the reason is for rebuilding the head. 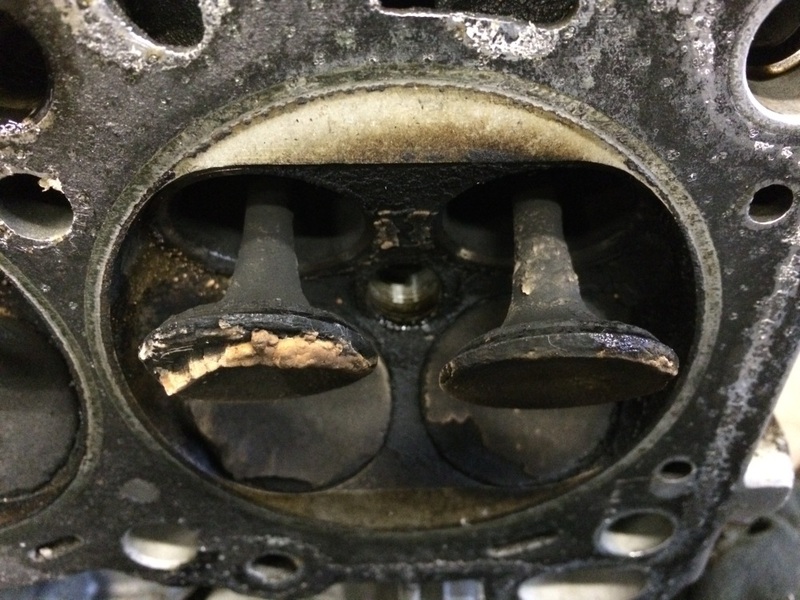 If the valves bend, there is a chance that the valve guides could be damaged. 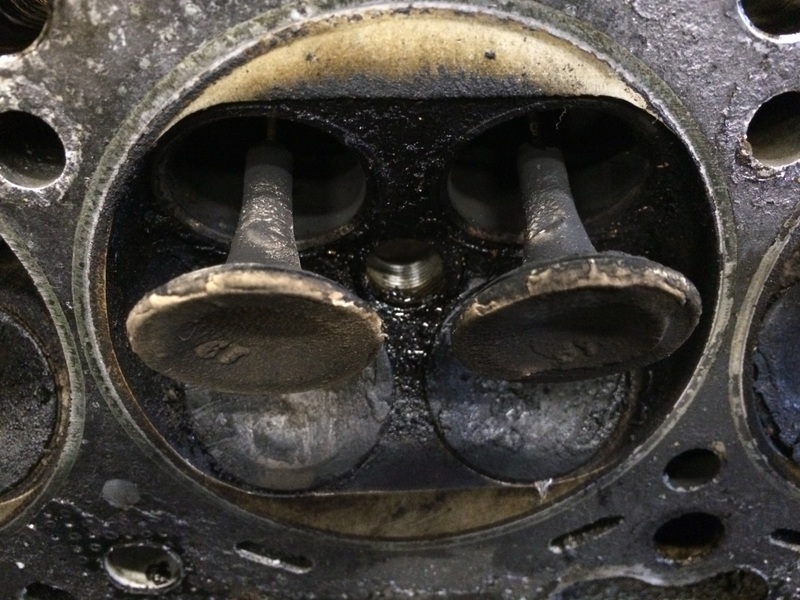 If the engine was overheated, the head may be warped. Both of the situations are far more complicated and require more labor. If you are just freshening up dirty old heads though, it is easy to do on a saturday afternoon! Yeah, so 50$ if you already have all the parts lol. Not so cheap if you’re needing to procure them. 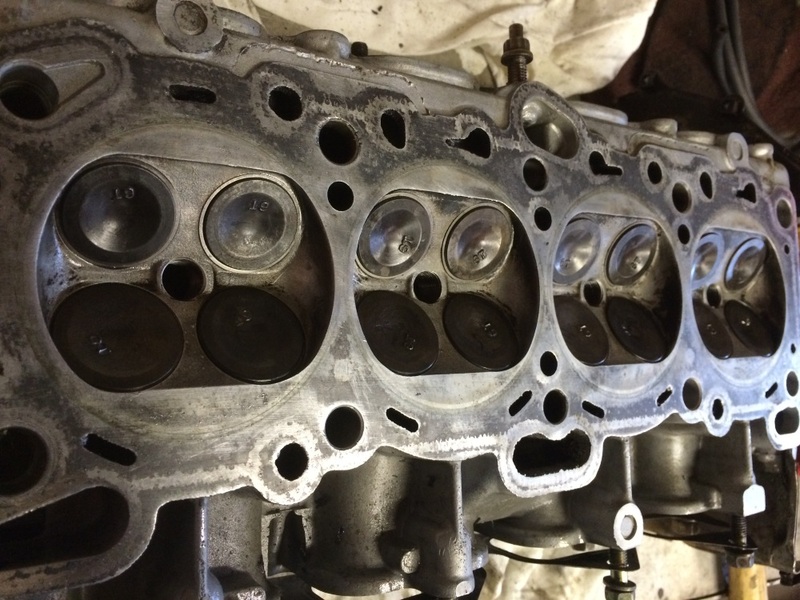 For the head we’re looking at new gaskets, head bolts, valves, seals, if you’re smart – any part you’re touching in the process just in case it’s beyond repair, unless you have another car avail. My biggest peeve with taking my engine apart is finding things that fell apart during removal or install and having to wait for replacement parts while it’s apart. Yay bus?